Credit given where credit deserved and Million Dollar Baby was inundated with acclaims and quite justly so from the Academy Awards. Even with all the accolades and five star reviews from critics, Million Dollar Baby is a very powerful movie that really triggers all your emotions thanks to the strong story and superb acting by Eastwood, Swank and Freeman. Originally released at the cinemas in 2005 (Australia), I remember leaving the cinemas feeling quite depressed and drained after watching thing film. 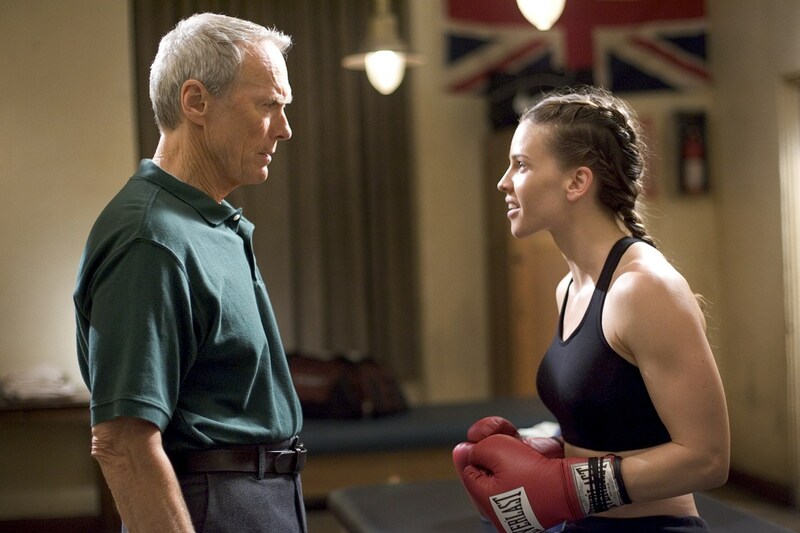 This is not to say that Million Dollar Baby is a bad movie but rather it's a realistic story that heavily relies emotion to tell the story and Clint Eastwood really outdone himself as director for of film. In terms of story, Million Dollar Baby revolves around Frankie Dunn (Eastwood), an aging boxing coach who runs a washed out gym. During his life as a coach, he has trained his fair share of boxers, however near retirement, his life is soon turned upside down by a young female boxer named Maggie (Hillary Swank). With a passion for boxing, Maggie begs Frankie to train her, however he refuses to train girls. However Scrap (Morgan Freeman), a close friend of Frankie and a gym-hand sees that Maggie has spirit and gives her a few words of advice in order for hee to get noticed by the grizzly old Frankie. Eventually Frankie ignores his mantra of not training girls and with the help of Scrap, the three embark on a vigorous training regime that sees Maggie rise through the ranks of female boxing until a life changing fight changes the dynamics between Frankie and his surrogate daughter Maggie. Eastwood does a remarkable job at directing this powerfully emotional film about changing relationships which sees an old man getting meaning to his dull life again and a working class girl with stars in her eyes gains a new father. 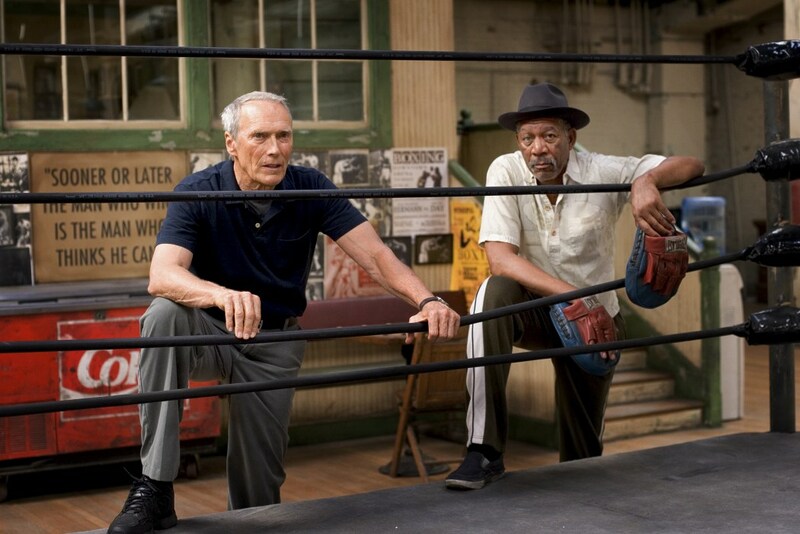 Nonetheless without Swank, Freeman and Eastwood as its core actors, Million Dollar Baby may have turned out quite differently and definitely less confronting without these applauded actors. Every moment of this film like the first time I saw it, kept me engaged with the story and with so many Oscars awarded to this movie, it's easy to see why. With that said, Million Dollar Baby is easily in my top ten dramas of all time and I highly recommend this amazing film. Considering the age of this film, the transfer to Blu-ray looks amazing with some exceptional attention to detail. Even though there is some grain during the movie, it suits the gritty premise behind the movie from the dimly lit gym of Frankie's to the brightly lit boxing rings. The movie was encoded in 1080p/VC-1 for purists and although not reference quality, it's easily one of the better releases from this era. Audio supports Dolby Digital 5.1 and is well mixed with perfect levels of dialogue, sound and music. For such a good film, it's a shame that there is no audio commentary by Eastwood but there are some featurettes with interviews with the stars and crew plus an interesting featurette called Born to Fight which goes in-depth into the training of Hillary by her boxing coach Lucia Rijker. The last special feature is the original theatrical trailer. All in all, the special features are a little lacking. 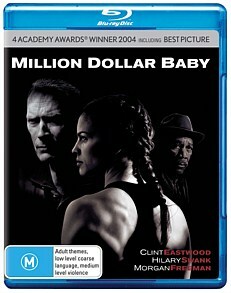 Million Dollar Baby shows what Hollywood can do when it has a passionate director with equally passionate stars. The chemistry behind Clint Eastwood, Hillary Swank and Morgan Freeman really shines in the story which in turn creates a very powerful drama. Definitely a must have Blu-ray!